I’m learning how to sew! After my previous machine started smelling like burnt rubber with use, my wonderful husband bought me a new machine. It isn’t a fancy schmancy machine but is perfect for me to learn on…and it doesn’t smell like burnt rubber! Of course, being a crazy cat lady, I could not resist the cute little sewing basket with kitty-print fabric. 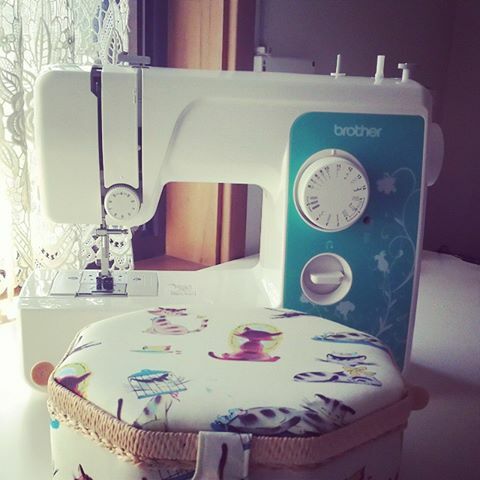 I’m collecting a little stash of tools and fabric and have so many things I want to sew. Ah, if only I had more time!